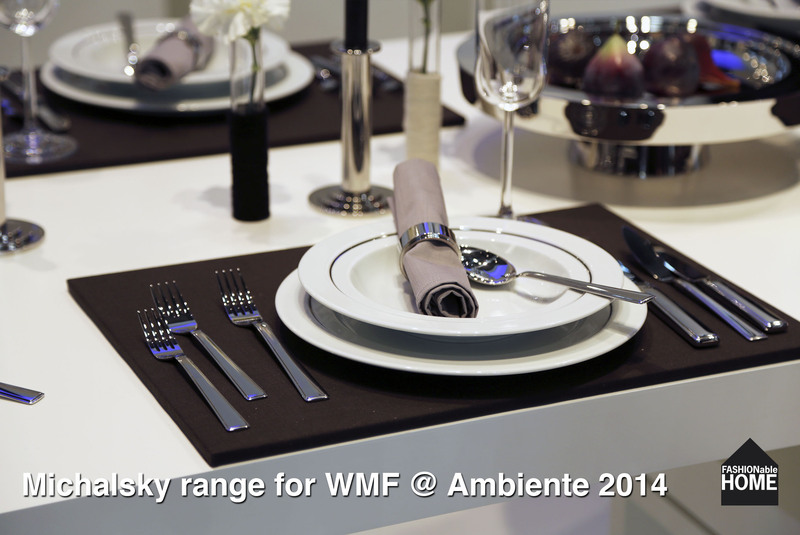 Michael Michalsky has created a new cutlery and table top series for WMF. 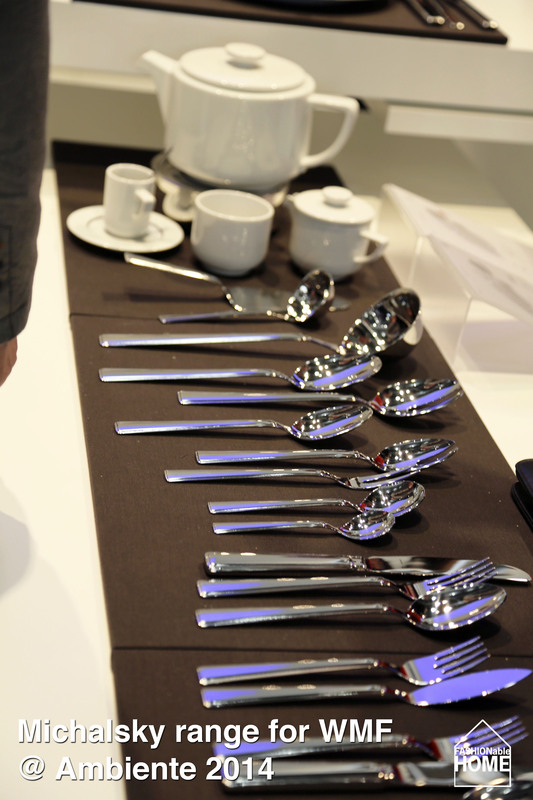 The clean and modern set by the ex-Adidas creative was launched at the Ambiente fair yesterday. 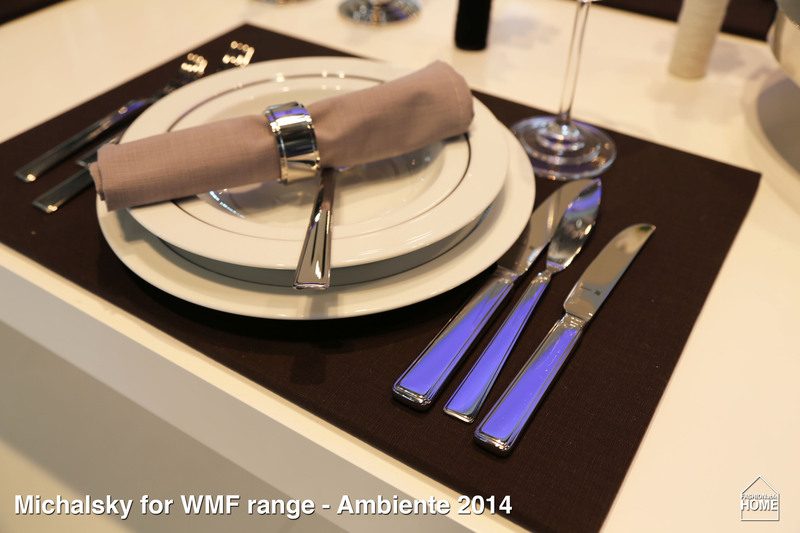 The new thing for WMF is that the designer is not only creating a cutlery and accessories range (like Jette Joop did in the past) , but he designed a whole tabletop collection including glassware and porcelain. 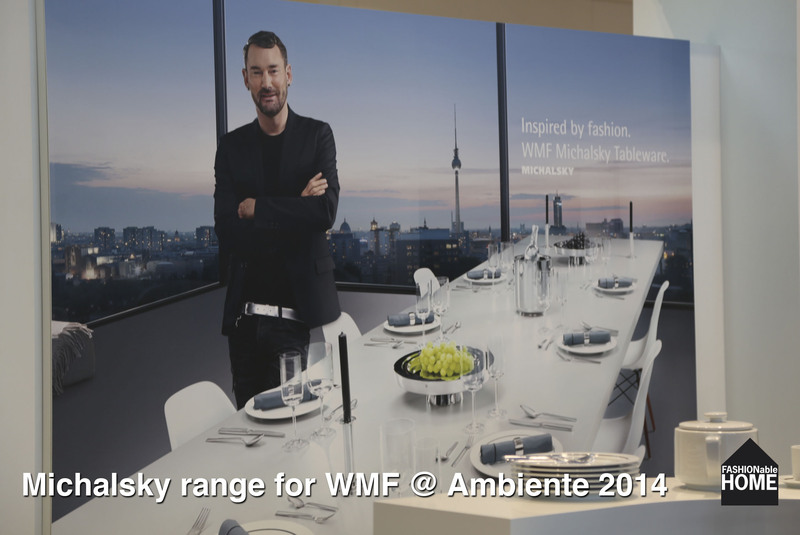 In contrast to using a lifestyle personality the range will still be only branded with the WMF logo and MICHALSKY will only appear in marketing material (Ads & POS). 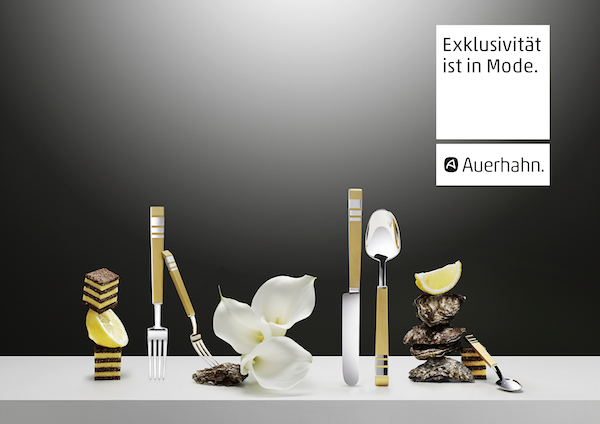 Although WMF marketeers usually boast their tip top marketing credentials, the choice of brand x designer/celebrity is odd as the Geislingen secondary brand Auerhahn has been the home for Michalsky designs in the recent past. 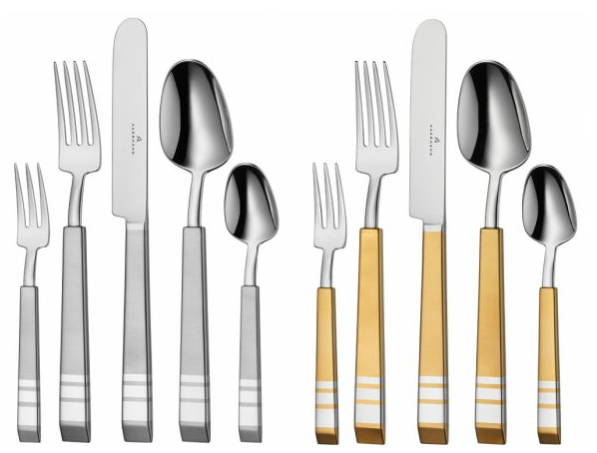 His cutlery range “Jazz” was launched last year. 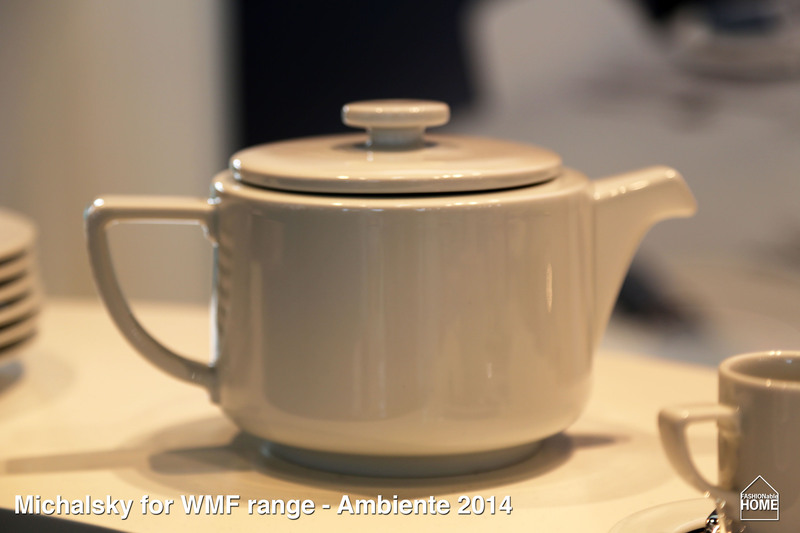 Which was fitting the brand as Auerhahn is set to be more design-oriented and slightly younger than the mother brand WMF. We interpret this as either a little hint to take Auerhahn off the market in the coming years or that the marketeers simply did not have any other newsworthy novelties to show. Here is an interview with the Designer – sadly only available in german at the moment. One other point: Michalsky is mainly known as a Celebrity in Germany, though. It remains to be seen if this is the right move towards international growth. 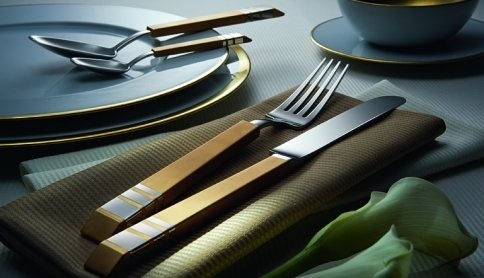 JAZZ cutlery range by Michalsky for Auerhahn. 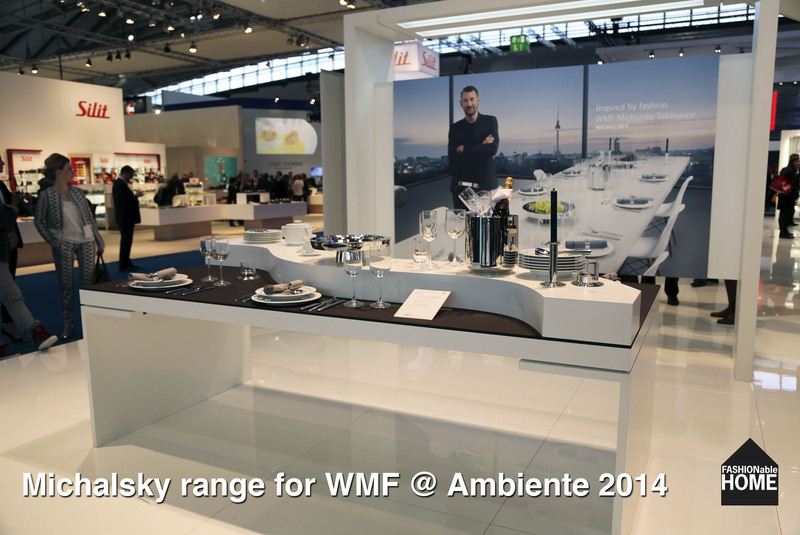 Mood image of the Michalsky table top range for WMF. 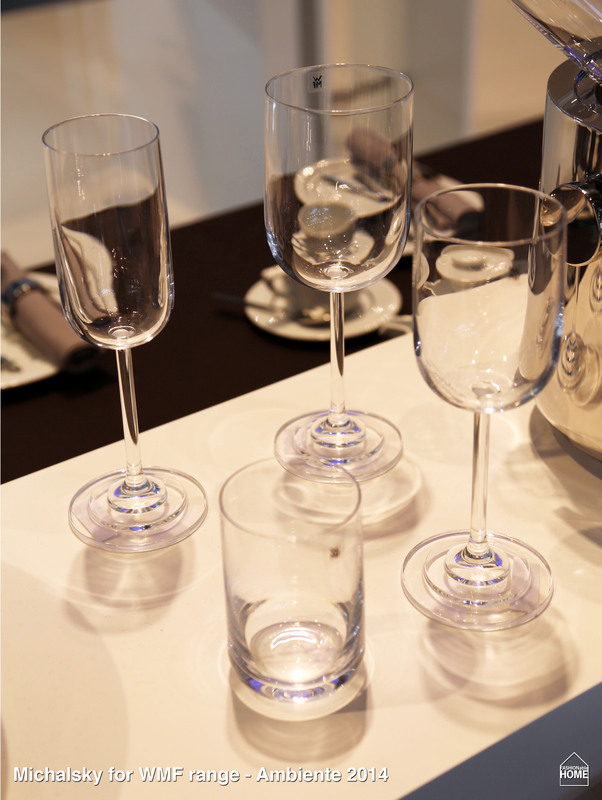 It includes glasses and accessories like candle holders and bowls. 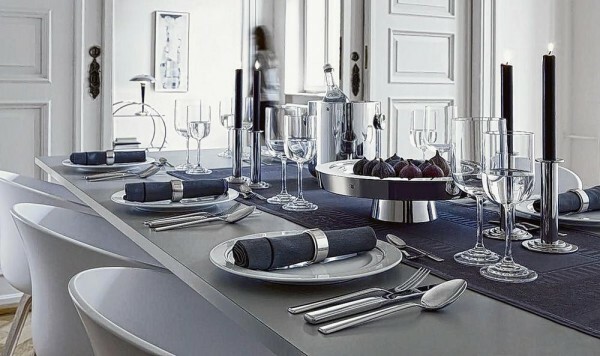 The items feature the same stairs/steps theme as the cutlery. 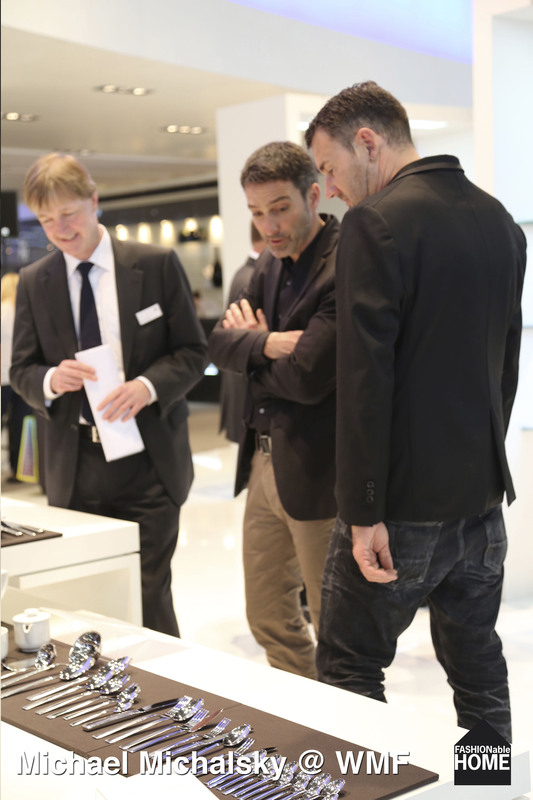 Michael Michalsky is looking at his work together with WMF Design guru Achim Bölstler. 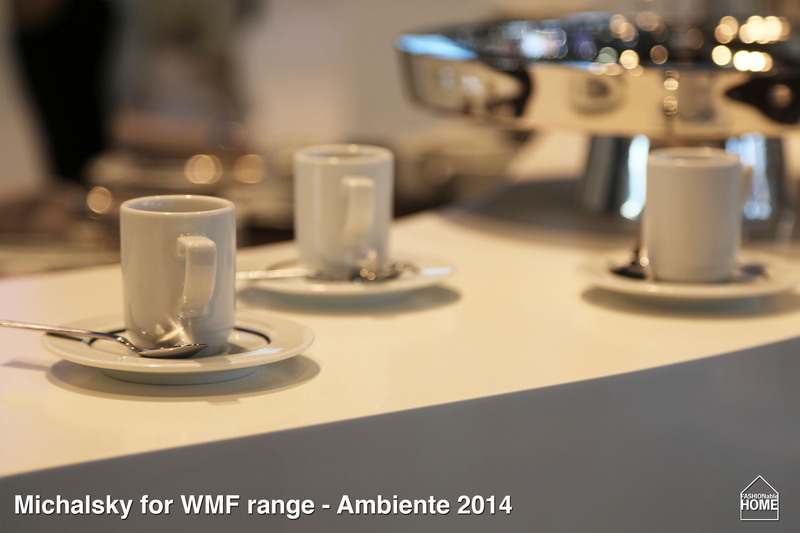 The picture was taken at the Ambiente fair. 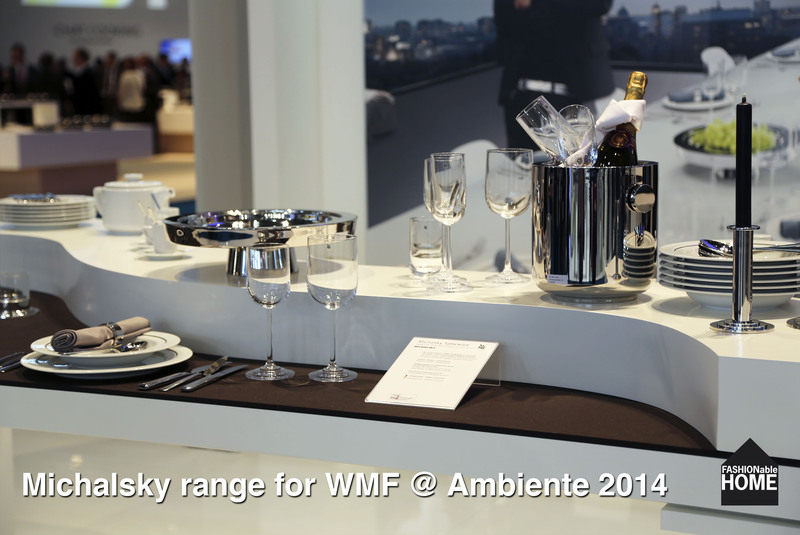 This entry was posted on February 8, 2014 by Chef de Cuisine in Fairs, Home Collections, Uncategorized and tagged Ambiente, Ambiente 2014, Auerhahn, Cutlery, Home collection, Michael Michalsky, Michalsky, WMF.